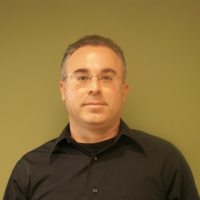 Gilad Shainer has served as Mellanox's vice president of marketing since March 2013. Previously, Mr. Shainer was Mellanox's vice president of marketing development from March 2012 to March 2013. Mr. Shainer joined Mellanox in 2001 as a design engineer and later served in senior marketing management roles between 2005 and 2012. Mr. Shainer serves as the chairman of the HPC Advisory Council organization, he serves as a board member in the OpenPOWER, CCIX, OpenCAPI and UCF organizations, a member of IBTA and contributor to the PCISIG PCI-X and PCIe specifications. Mr. Shainer holds multiple patents in the field of high-speed networking. He is also a recipient of 2015 R&D100 award for his contribution to the CORE-Direct collective offload technology. Gilad Shainer holds a M.Sc. degree and a B.Sc. degree in Electrical Engineering from the Technion Institute of Technology in Israel.